Other Notes: Drink from the can! Drink from the can! Drink from the can! 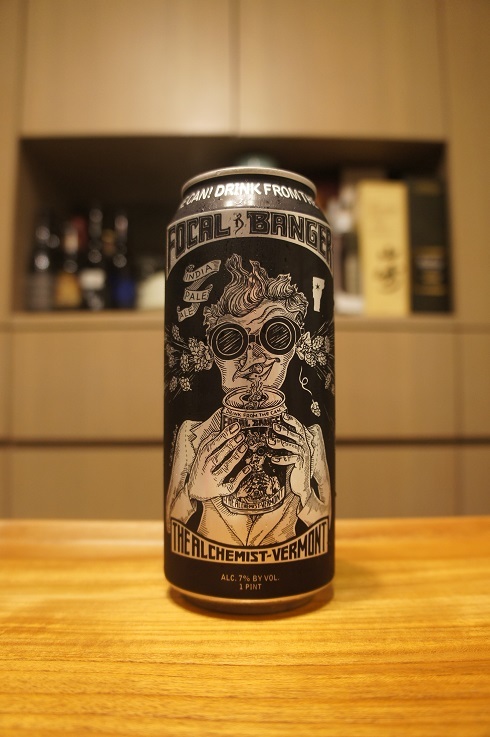 Brewer Description: (from can) Focal Banger is an American India Pale Ale. We have a real love for IPAs here at The Alchemist, and we strive to offer you the best hop experience that we possibly can. This beer is brewed using Citra and Mosaic hops and our favorite British malts. Truly, an abundance of hoppy goodness… Freshness and control have always been my main concern when it comes to our beer. We are committed to providing you with an unfiltered and unpasteurized hop experience. Why do I recommend that you drink it from the can? Quite simply, to ensure a delightful hop experience. The act of pouring it in a glass smells nice, but it releases the essential hop aromas that we have worked so hard to retain. If you MUST pour it into a glass, you may find that some of the hop resins have settled to the bottom – leave them in the can when pouring. 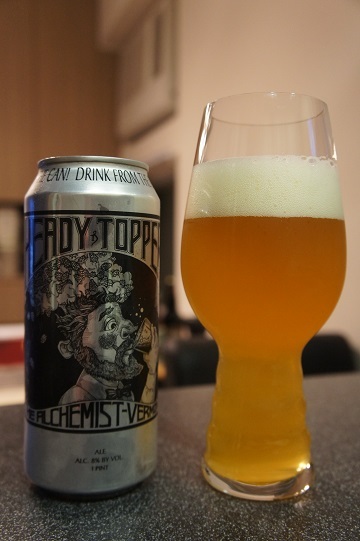 This beer is perishable and at its best when it is young, fresh and hazy. Keep it cold, but not ice cold. Drink this beer today, you could be dead tomorrow…. Intro: A 1 pint can, with no clear canned on or best before date (although my source says mid-March). Poured around half into a Lost Abbey teku glass and drank the other half from the can. Appearance: A hazy golden orange colour with a two finger white head that had good retention and left some sticky lacing. Aroma: Mango, pineapple, pine, grapefruit peel, mandarin zest, fruit tea. Taste: Light bitterness, grapefruit zest, citrus peel, mango, pineapple, melon, grass, pine, and a light but lasting bitter finish. Mouthfeel: Medium bodied with moderate carbonation. Overall: Nice, refreshing and enjoyable to drink. 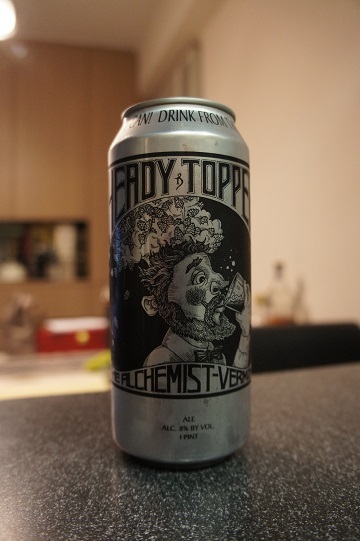 Brewer Description: (from can) Heady Topper is an American Double India Pale Ale. This beer is not intended to be the biggest or most bitter. It is meant to give you wave after wave of hoppy goodness on your palate. Tremendous amounts of American hops will creep up on you, and leave you with a dense hoppy finish in your mouth. So drinkable, it’s scary. Sometimes I wish I could crawl right into the can. Freshness and control have always been my main concern when it comes to our beer. We are committed to providing you with an unfiltered and unpasteurized hop experience. Why do I recommend that you drink it from the can? 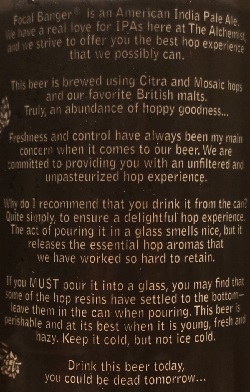 Quite simply, to ensure a delightful, hop experience. The act of pouring it in a glass smells nice, but it releases the essential hop aromas that we have worked so hard to retain. If you MUST pour it into a glass, you may find that some of the hop resins have settled to the bottom – leave them in the can when pouring. This beer is perishable, and at its best when it is young, fresh and hazy. Keep it cold, but not ice cold. Drink this beer immediately, we are always making more. Intro: A 1 pint can canned on 15th December 2015 (I would have drank it earlier but was very sick for a long period of time) and tried from the can at first then poured into a Spiegelau IPA glass. Appearance: It poured a hazy golden yellow orange colour with a two finger white head that dissipated fairly quickly but left nice sticky lacing. Aroma: As soon as I opened the can the tropical aromas immediately came pouring out, but there was still a hint of the metal from the can. 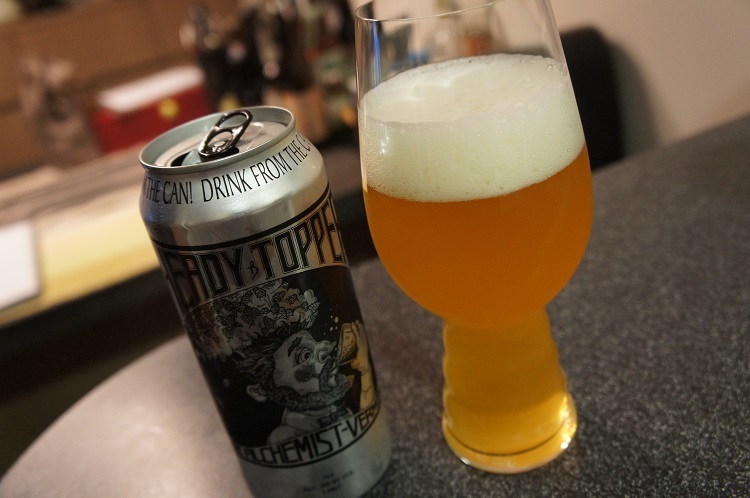 After pouring it into the glass, the aromas were not as strong but better with a mix of tropical pineapple, mango and citrus mandarin, orange peel and lemon zest. There was also a hint of pine. Taste: Strong juicy citrus grapefruit and pine with a hint of tropical mango and pineapple. Nice front loaded bitterness which continues into the aftertaste. On the can it says “drink from the can” so I tried that as well. I have to say that taste is just as impressive from the can. Mouthfeel: Medium bodied with medium carbonation. Overall: An excellent DIPA. Must buy and taste fresh if possible. I only wish I wasn’t very sick when I received it… but I know I wouldn’t have been able to enjoy it as much if I drank it a month ago as I wouldn’t be able to taste or smell much. 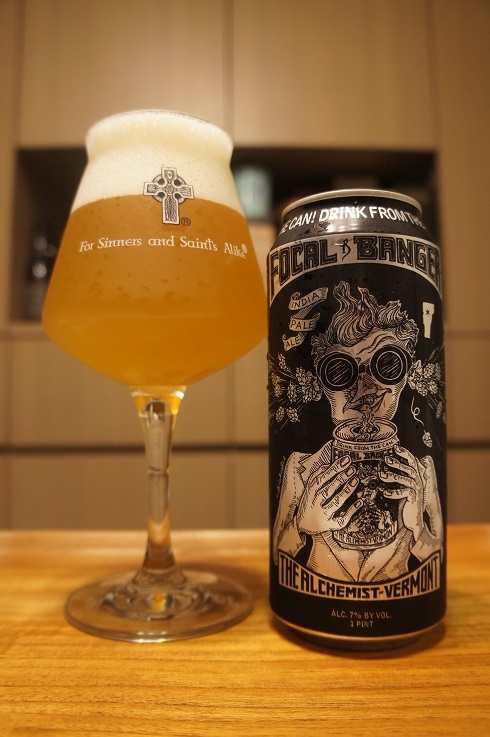 Although it says to drink from the can, which I did try, I still prefer to pour it into a glass to enjoy. It allows you to enjoy its look and gives a clearer aroma. Well worth the hype.